The state government would no longer be responsible to use its resources to pay down debts of municipalities. At a time when the whole nation is debating about how much financial assistance state government should provide to their troubled cities, one state has introduced a law to skip the question altogether. Much to the distress of the municipal government, a new law has been implemented in July 2014, which prevents state government from offering financial help to them. The state government would no longer be responsible to use its resources to pay down debts of municipalities. The new law does not cancel the Tennessee's emergency loan assistance program. Municipal governments can still get financial help from the state prior to any default. Credit markets are seeing this new law in a positive light for the state government. They would save tons of money due to this new regulation. But the same thing can't be said for the municipal governments since tough times await them now. Historically, Tennessee had a policy of not paying debts for municipalities. So, this law is nothing new for the municipal governments. Rather, this is just a formal clarification from Tennessee state government. Julius Vizner (Assistant Vice President at Moody's Investors Service) feels that the state has made a firm distinction between financial liabilities and responsibilities. To quote his words, âIn general, the fact that the state is not incurring a liability for any potential future case of a local government [wanting direct aid], is a credit positiveâ. Should states bail out distressed cities? Some states feel they should offer help to distressed cities since it helps them to reduce the impact of their financial problems. They argue that if government doesn't come to rescue, then financial problems would spread amongst neighboring cities too. Several states have given legislative thought to deal with distressed cities. In fact, 19 states have designed intervention programs for distressed local governments, but the degree of involvement isn't the same. More than 400 public institutions and local government faced severe financial hardships during the Great Depression period. The state's Local Government Commission (LGC) was formulated to monitor all debt issuance. Even today, the Commission is still active and it doesn't permit localities to issue any new debt, if fund falls below a particular point. As per the state officials, the entire credit for municipal government's excellent credit rating goes to the LGC. Michigan has been involved in city finances for a long time as it feels that cities won't be able to survive on their own. Usually, a state- appointed financial manager solves the fiscal problems of its cities. However, during Detroit's bankruptcy, the state government broke all their previous records and allocated $200 million from their funds to assist Motor City come out from bankruptcy. In June, Gov. Rick Synder gave a funding package of $366 million for the pension payments of retired city workers and protecting Detroit Institute of Art's work from hungry creditors in the next 20 years. Tennessee's stand against getting involved in cities finances is not unjustified either. The state's desire to maintain a high credit rating is not despicable. 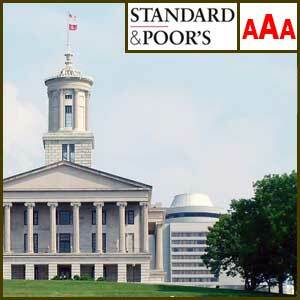 The credit rating of the state is either AAA or a notch below. On the other hand, Michigan's credit rating dropped from positive to stable recently. Somehow, the latter has been able to maintain AA- credit rating. But Standard and Poor's credit rating agency feels that Michigan's budget reserve fund will drop considerably because of the state's over involvement in the Detroit bankruptcy case. The financial package is quite huge. Question arises regarding the state's contribution towards other struggling districts and localities. The analysts of Standard and Poor would continue to monitor state's financial progress and revise its credit rating accordingly. Another significant difference between the 2 states is that Tennessee doesn't permit its local governments to file bankruptcy. In fact, none of them are rated below investment grade. So, if in future, any local government defaults on debt, the situation would be manageable. At least, it won't be like Detroit's case. It won't pose a serious threat to the state's economy like Michigan. The overall financial condition of state's economy is good. So, a local government's financial distress would be regarded as an exception. Several cities feel that they're being ignored or neglected. Sometime, it is mainly due to extreme political upheaval at the lower level. But this is not completely correct in all the cases. In spite of this undeniable fact, cities consider themselves doers in comparison to states. They give various kinds of services. If city problems are not handled with proper care, then it would aggravate local attitude. The biggest irony is that people feel they are the ones who suffer and that their cities should solve the problems afflicting them. An extensive research was conducted by Pew Charitable Trusts on state interventions on local government's finances. They said that each state should have a program to handle municipal government's monetary challenges. States should create such programs. Unfortunately, maximum programs are remedial and not preventive.